Our vast industry experience and full production facility have made us a very renowned name in the field of Tea bag manufacturers in Delhi. We manufacture Tea packaging bag of all sizes including standard sizes as well as according to the specifications given by the clients. As a Tea bag supplier, we always maintain on-time delivery with high quality and prompt service. The raw material used is of a high standard and updated machinery manufactures completely air sealed and maintains the flavor of tea for a longer duration. Packaging Tea bag manufactured and supplied by us are of a very unique design and attractive prints which makes the brand look totally different in the market. Our specialized Tea bag manufacturers team are well aware of the fact that there is high demand of Tea in market and Tea is a sensitive product so good quality packing is very important. 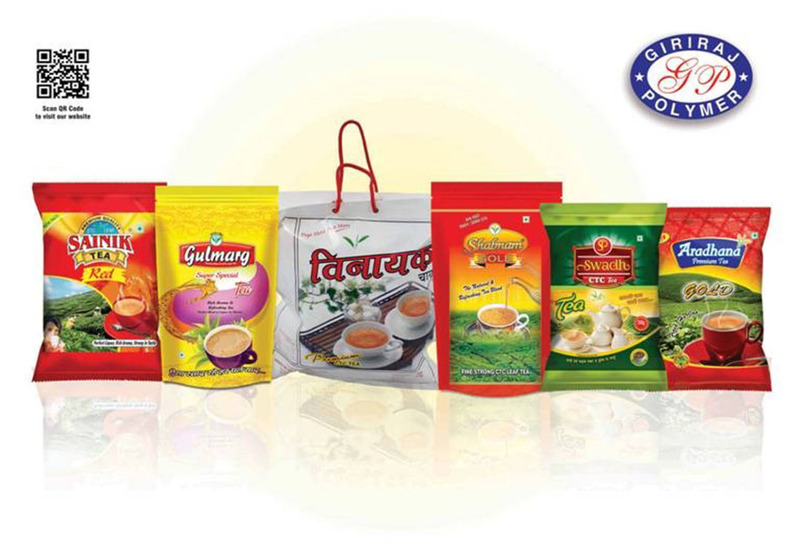 You can rely on Giriraj Polymer as Tea bag supplier if you are looking for high-quality Tea packaging bag in affordable rates. We offer a wide range of safe and efficient solutions for Tea bag requirement as per demand.